As gift-giving season approaches, consider gifting a thrifted or vintage item instead of a new purchase! 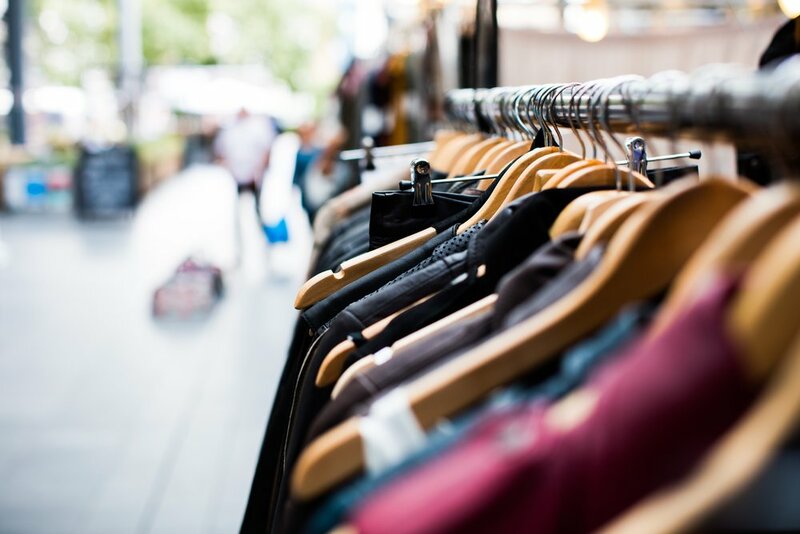 There are so many benefits to buying secondhand, so we’ve complied our list of the best vintage stores (plus some flea markets, thrift, + antique stores) in the US to promote #SustainableLiving this holiday season! Merchant’s from all over the world bring their wares to an open-air shopper’s paradise in the French Market. Traditional items such as clothing + antiques combine with art, jewelry, candles, + crafts to make this a market of diversity + a community of culture. A vintage boutique located in the historic French Quarter. Shop a stunning collection of curated items spanning from vintage clothing to jewelry. Considered one of the best collection of vintage clothes in the city! An accessory driven shopping experience reflecting the je ne sais quoi of New Orleans style in the Lower Garden District. Shop one-of-a-kind, vintage, + revamped items in a socially inclusive atmosphere. A funky + eclectic space, Hunt + Gather describes itself as a “vintage amusement store”. Explore its two levels of unique finds packed full of treasures! Curating pieces from the 1800’s - 1980’s, Via’s Vintage focuses on quality women’s clothing + accessories! A whimsical, hot pink interior matches its fun inventory! A fine antique store located in Lowry Hill District, Antiques Bel Air features an array of china, glassware, + silver with names such as Tiffany + Minton! Known to be carefully curated, this antique store showcases high quality finds! Volunteer run + service oriented, this 5th St. thrift store is located in the heart of the city. Benefiting AIDS/HIV prevention efforts in the Philadelphia area, this local favorite is known to hold great finds! Conjoined with a production company, this creative space prides itself as where “art, style, + service co-mingle”. Selling new, used, + in-house designed clothing, this studio on South St, is a must visit! This speakeasy style vintage store is located in the basement of a flooring + carpeting business. Hand-selected and curated, Bella Vista lets you find the highest quality pieces without having to dig through the rest! A fantastic store with a wide selection of lightly used vintage clothing and accessories. The selections are locally curated that will make you feel like you are raiding your cooler, older siblings closet! This nationwide company has been a buy, sell, trade establishment since 1974 to reduce the waste related to the fashion industry. Stop one of the 2 Seattle locations for trendy + unique pieces! This Capitol Hill store is well organized, labeled, and clean! Locals commend inexpensive prices + an expansive collection. Proceeds benefit a local charity! Open on the weekends, this outdoor flea market sells everything from plants, to jewelry, furniture, and toys! Be sure to bring cash in case you spot a hidden treasure among the many tables! Located in an old navy building, this hip indoor market is home to specialty food and craft vendors. You’ll find everything from handmade jewelry stalls, to smoothie shops, to a gourmet popcorn company! Locally grown produce with an emphasis on organic and pesticide free growing. Alongside growers you’ll find flower stalls, handicraft vendors, antique finds, and performances by live musicians! Great way to spend a lazy sunday morning strolling and shopping! After over 40 years in the business, Good Old Days knows what they’re doing! Located on what used to be an antique-lover's row, this shop specializes in everything from stained glass to furniture, to old-school radios, signs, old advertisements, black and white photos, + more! Just as the name suggests, this shop is all about vintage and antique clocks + watches. As soon as you walk in, you’ll notice the hundreds of ticking clocks almost drowned out by the great oldies coming through the speakers. Here you will find a shop packed with antiques + collectibles, including fine art, vintage jewelry + global furnishings! The Hermitage has been Denver’s destination for first editions, rare finds and Victorian yellowbacks since 1973 The shop also boasts a knowledgeable staff eager to help you find exactly what you’re looking for! Specializing in the rare and unusual, Gallagher Books is home to hard-to-find titles, vintage posters and library antiques! Shelves are packed to the brim with various genres from Western Americana titles to Photography books to Children’s Illustrated volumes. Located in a Victorian house on Antique Row, Printed Page offers a wide selection of antique books and manuscripts, some from as far back as the 16th century! Whether you’re looking to add to your own special collection or interested in a more casual browse, this bookshop is the perfect spot! How are you doing your #SustainableShopping this holiday season?